Virtual City Playground is a free to play city building experience for both iOS and Android devices. 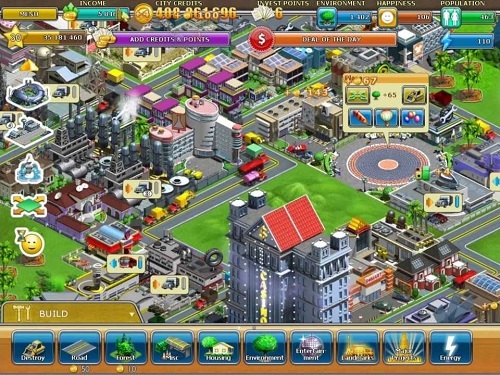 The game features a huge number of buildings, quests and challenges to keep players busy. 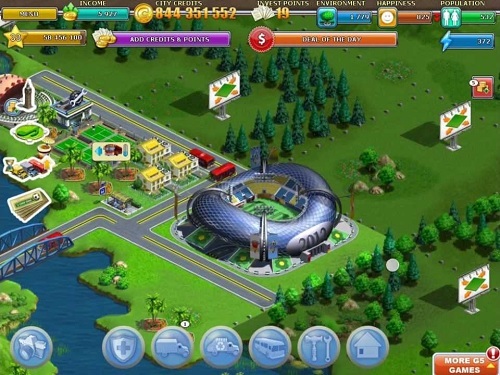 In Virtual City Playground players are given plenty of freedom to create their own dream city and use whichever buildings they think are most appropriate in order to achieve their goals. While the quests (of which there are over 300) do provide some general guidance there is still plenty of freedom available to the player. In order to use this freedom you’ve been given over 150 different buildings and decorations to create the high rise city or beautifully decorated suburban neighbourhood that you’ve always wanted. Virtual City Playground also features a number of well-known landmarks including the popular Eiffel Tower. The game isn’t just about what you want though with plenty of important buildings to help your citizens such as the school, hospital, library and fire station. Players even have the option to host public events for their tiny citizens. In Virtual City Playground your role even extends beyond construction with the other half of gameplay requiring players to manage vehicle deliveries between buildings which is one of your biggest sources of income in the game world. These routes also extend to public transport and even your cities garbage system. Compared to other options out there Virtual City Playground doesn’t really stand out although setting paths for your vehicles is a nice touch to the gameplay. Ultimately the game suffers the same fate as many others in the genre which is energy restrictions hindering progression too much for free players. A city building game for iOS and Android devices. Huge number of buildings to construct. Quests and achievements to strive for. Design your city the way that you want.